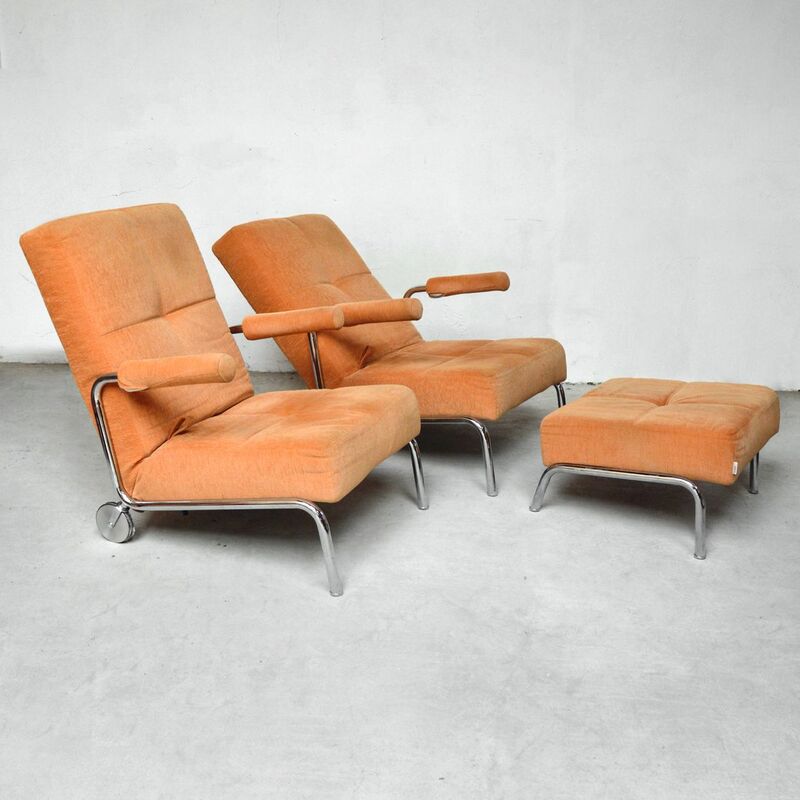 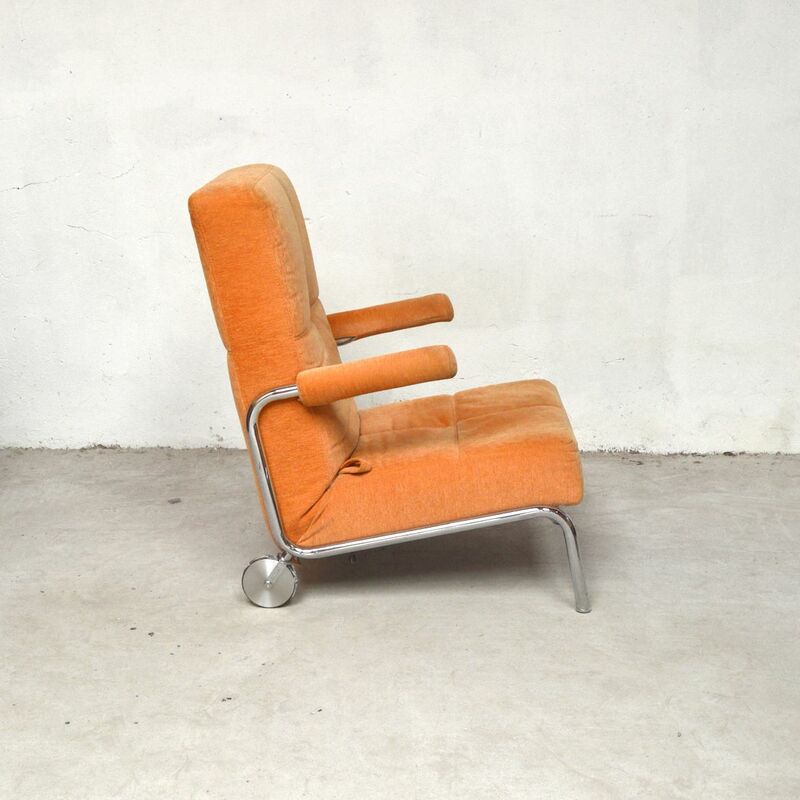 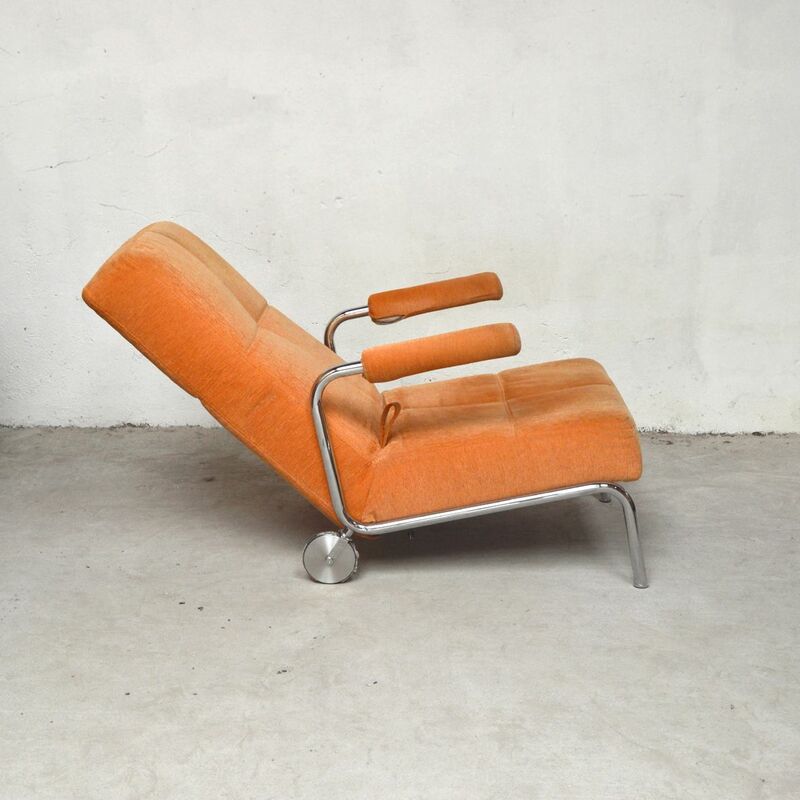 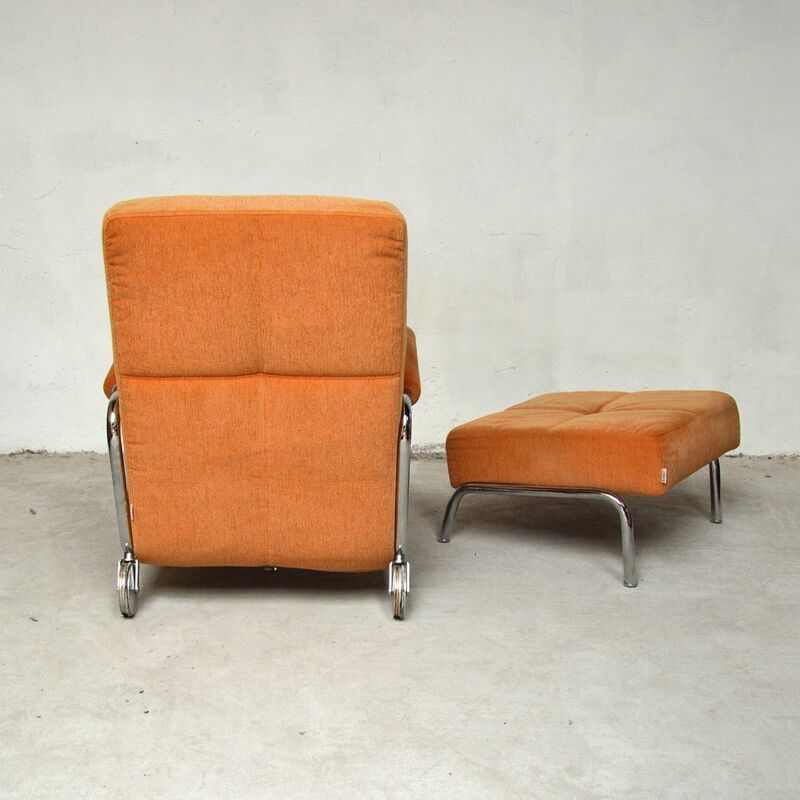 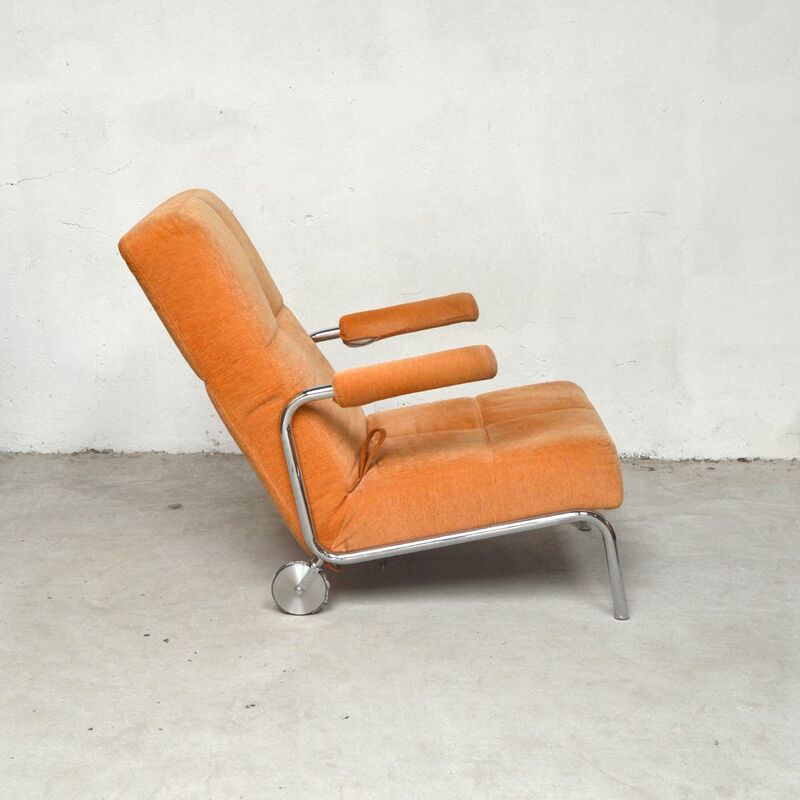 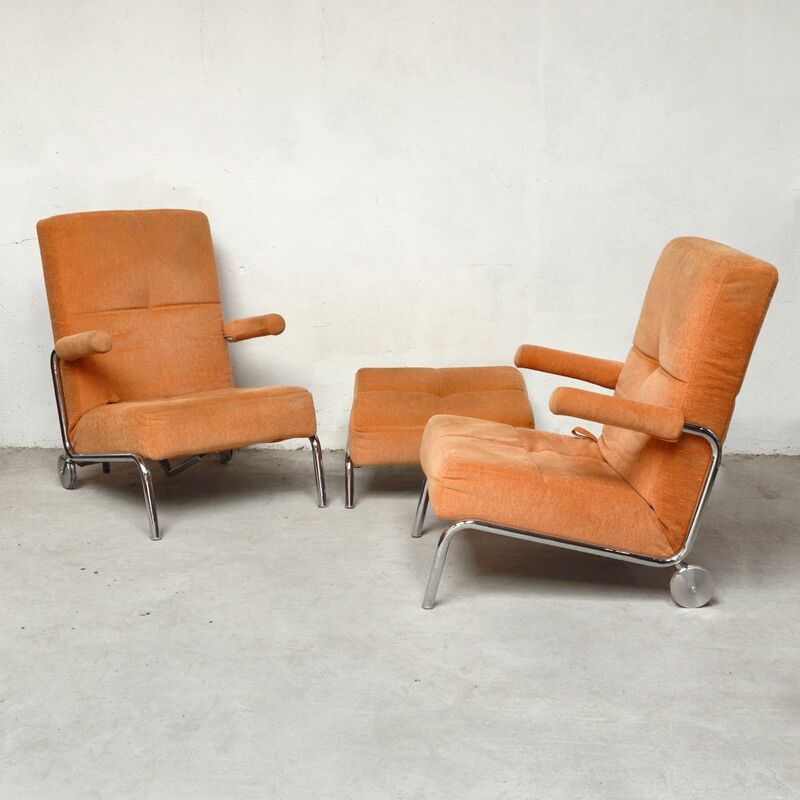 This set consists of two chairs and an ottoman and was designed and produced by the German manufacturer Brühl in the 1970s. 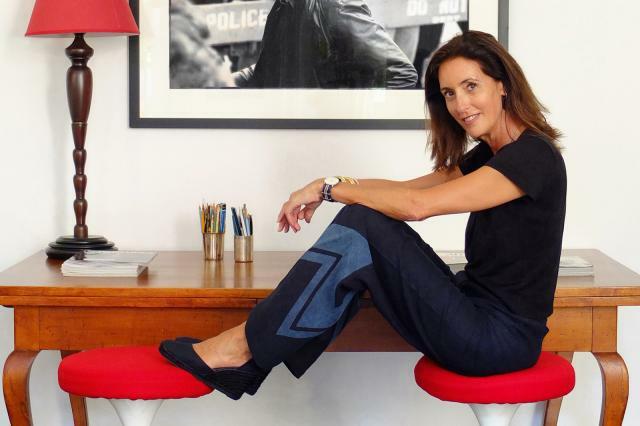 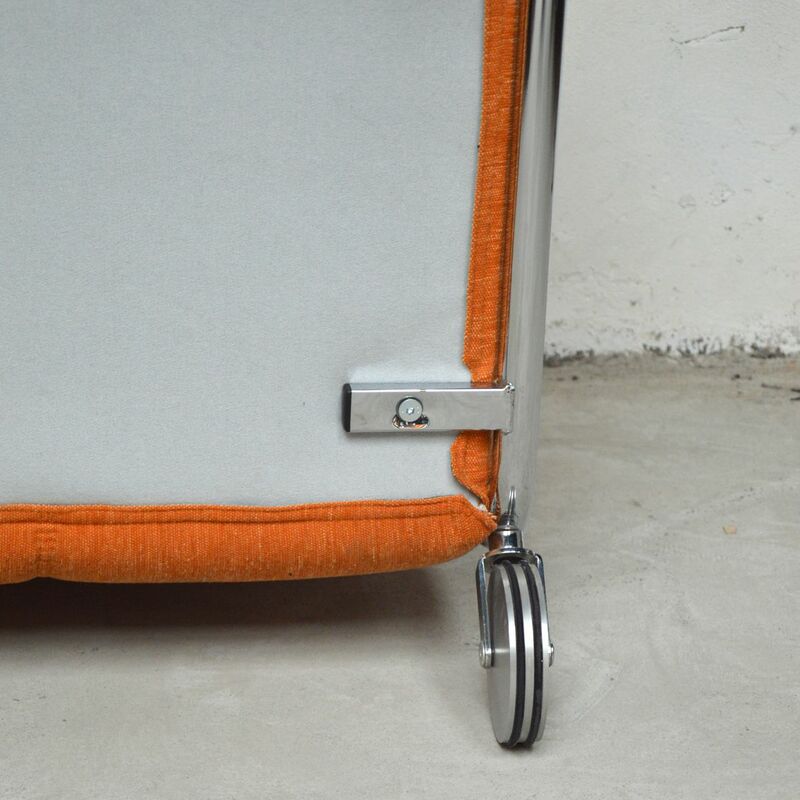 The chairs feature a relax function with reclining backs and two wheels in the back. 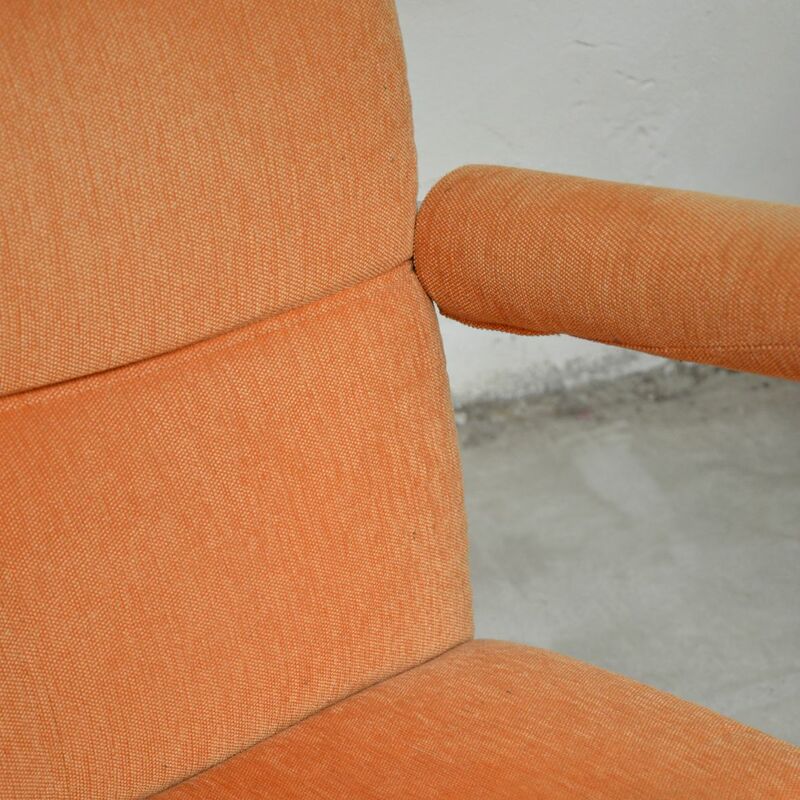 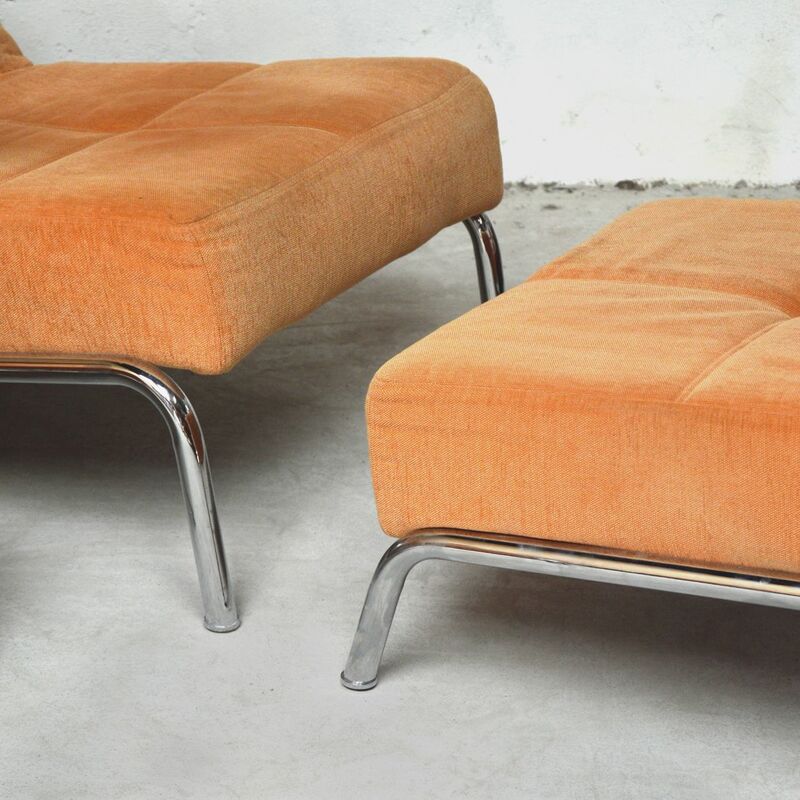 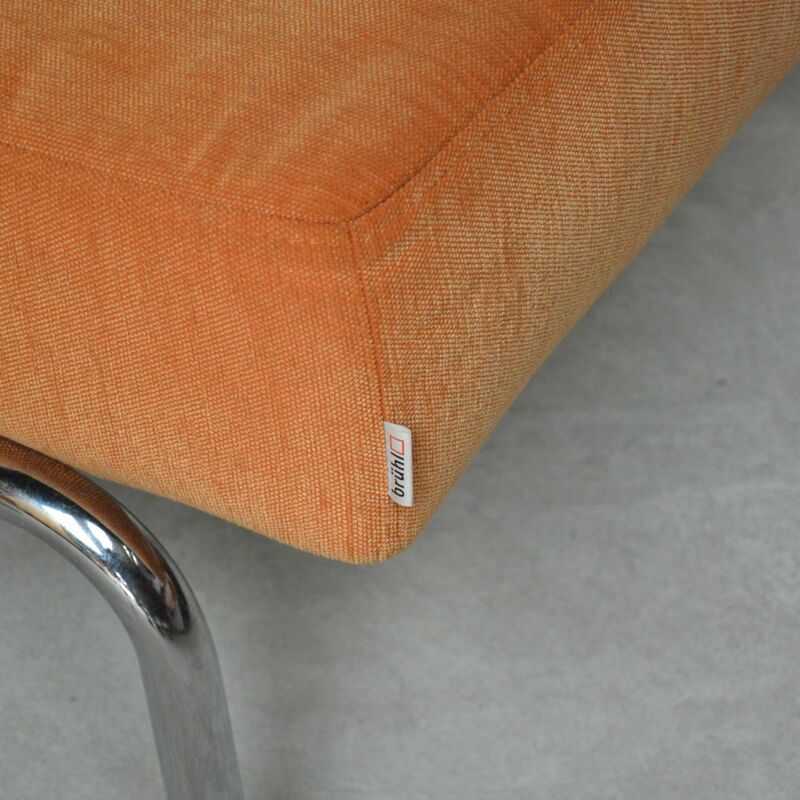 The structure and legs of the set is in chromed metal and the upholstery fabric is in light orange tones. 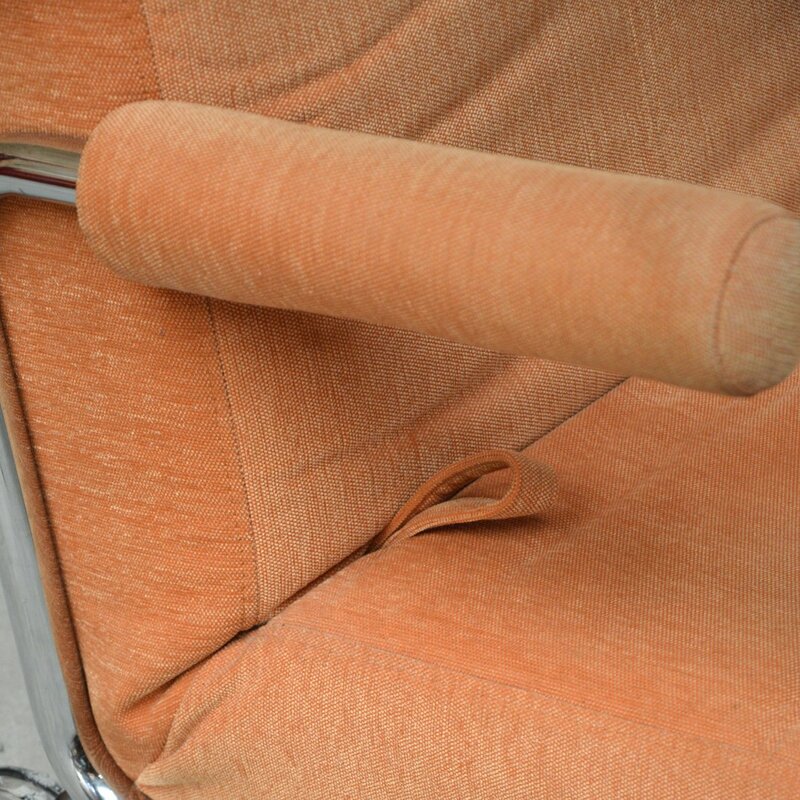 The set is in original condition. 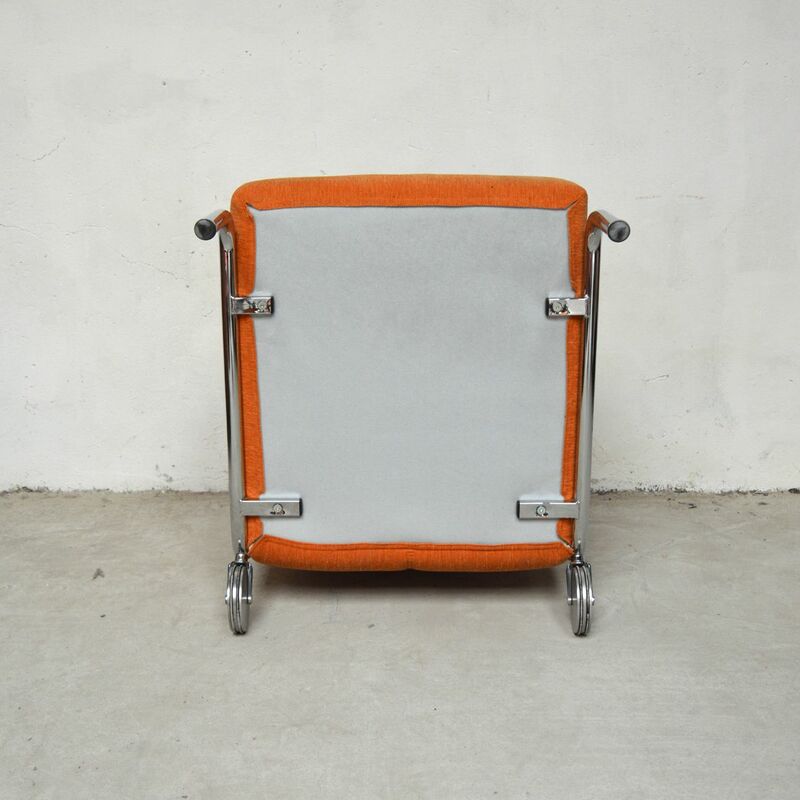 - Ottoman: Width: 62 cm, Height: 40 cm.